Join Us for the HTP Shoot-Out! April 7th at Royal Purple Raceway! 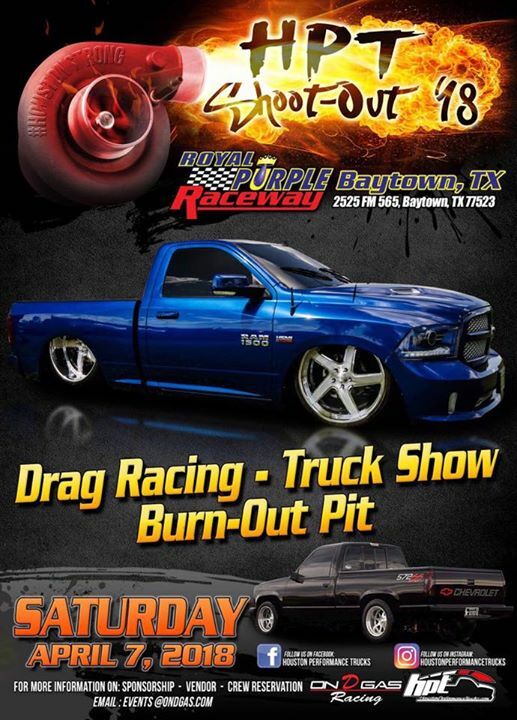 Drag Racing, Burnout pit and Custom Truck and Car show! We no longer have a 13 second class.